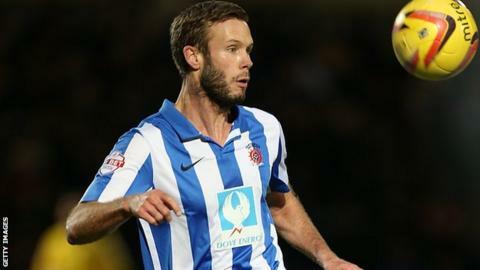 Andy Monkhouse sees the packed festive fixture list as an opportunity for Hartlepool to climb League Two. If Hartlepool overcome Coventry in an FA Cup replay on 17 December, they will face a trip to Barnsley in round three. In the league, Pools have won just once in their last four games and lie 14th, seven points adrift of the play-offs. "This season we're doing ok - that's it. We want more than ok. Christmas has so many points on offer and it's a chance to creep up the table," he said. Prior to their recent run, the Teesside club had won five out of six League Two matches under having been relegated last season. Andy Monkhouse is in his eighth season with Hartlepool and Colin Cooper is his sixth different manager after Danny Wilson, Chris Turner, Mick Wadsworth, Neale Cooper and John Hughes. Midfielder Monkhouse has been at Victoria Park since 2006, making 311 appearances and scoring 51 goals, and he is confident the club is now moving in the right direction again. "I'd put the current set-up alongside my first season here when we won promotion to League One," he told BBC Tees. "I'm really enjoying it and can see a lot of similarities with the mix of youth of experience helping one another out. "There's a lot of drive and determination in the squad and we're looking at the playoffs and higher this season."